The slow cooker rarely gets put away in our house. Based on our busy schedules is pretty much the reason why, and I am typically the one hustling around trying to feed four hungry people every day. Not that I have a problem with that, but the slow cooker always comes to the rescue, and typically anything I throw in there is a real winner. 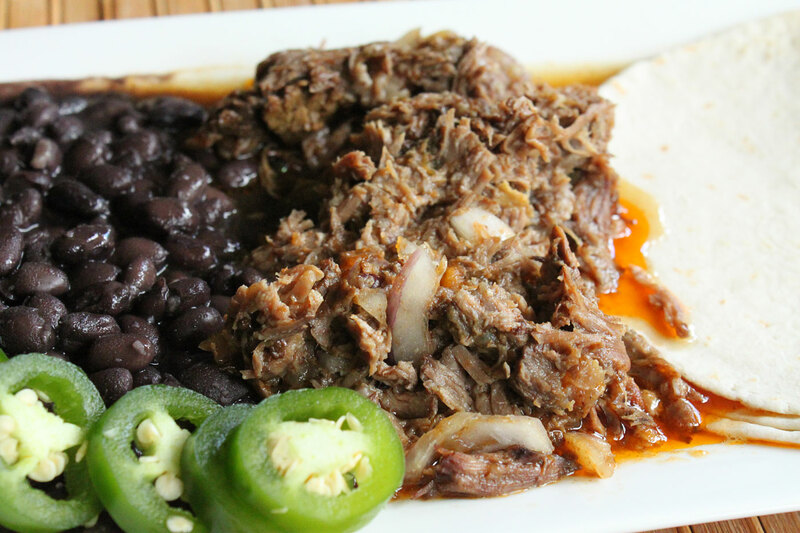 This particular recipe known as Mexican Barbacoa is a real winner, and is something that is only typically served in our our Mexican restaurants on the weekend. This homey doesn’t have time for that, plus I typically stay away from local tacquerias on the weekend. For one, we are big fans of shredded meat, especially when it comes to tacos, and this one is no exception. 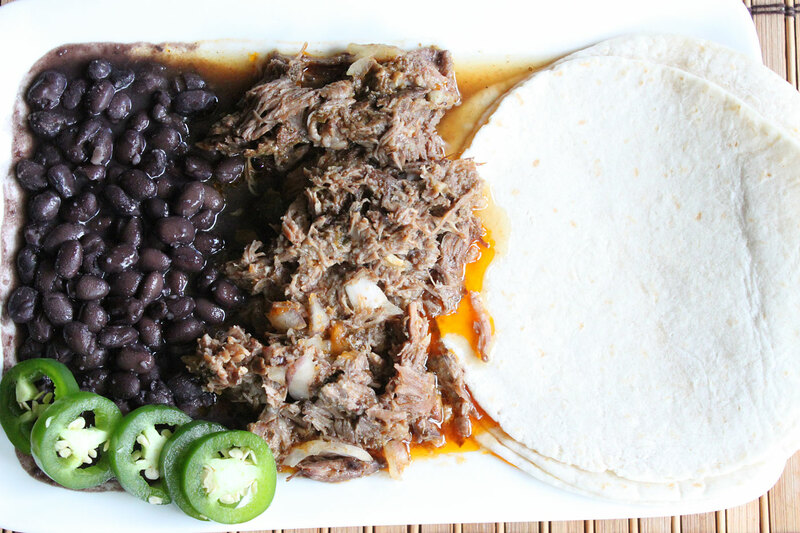 You are going to love the texture, flavor, and simplicity of this Mexican barbacoa. Start by adding the 2 tablespoons of oil to a large dutch oven or large skillet. Bring this to a medium heat. The goal is to add the beef in batches to get a nice sear on all sides before placing it into your slow cooker. Once browned, add each piece to the slow cooker, and repeat with any remaining beef. Once the beef is added, rinse out the skillet or dutch oven, return back to the stove, let the water evaporate, then add in the additional oil bringing it back to a medium heat. Add in the onion, garlic, and chipotle chilies in adobo sauce. Add in the beef stock, and let this come to a quick boil. Add in the cumin powder, oregano, salt, pepper, and lime juice, and give a good stir Add the mixture to slow cooker, and add to your high setting. Cook this for about 6 hours. After 6 hours, check on the beef and make sure it is fall apart tender. If not, continue to cook until it is and shred all of the beef, making sure everything gets nicely incorporated. 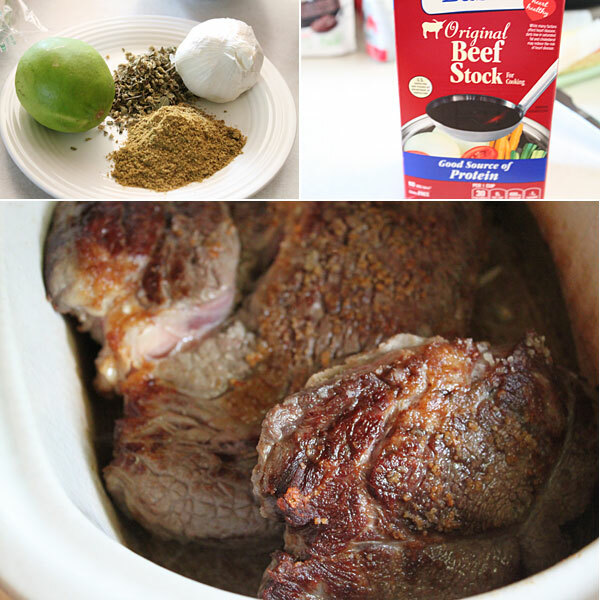 Cover and let this cook for about 20 minutes longer to all of that shredded beef and soak up all of that delicious stock. During this time, cook your beans, and warm up your tortillas. Slice up any additional things such as limes, jalapenos, or onions. Now it’s ready to serve. I like getting a bit rustic, laying out some barbacoa, beans, chilies, and have things on standby like fresh cilantro, and salsa. Layer your tacos to your desire and dig in like it’s no one’s business. Forget about waiting for the weekend for this Mexican barbacoa. Go for Tuesday, because who doesn’t love a Tuesday, right?